Dr. Duke has been my Podiatrist for many years. He is a great doctor and has a wonderful staff. He is very knowledgeable, understanding and patient. It's not often you find a doctor that truly meets your expectations. Dr. Duke has exceeded mine. In my opinion, he's one of the best. Explained and was easily understood his treatment. My father went to him and he can wear his shoes now Dr Duke is more than a foot doctor. Very knowledgeable and easy going. Didn't rush us out the door. Cares about his patients and takes pride in his work. My Dad was happy to get his care there and it didn't hurt him in any way. Highly recommend this Doctor!! Dr. Duke has been my podiatrist for 15 years. He has treated both myself and my mother. He has performed surgical procedures to remove bunions, shorten toes, correction of hammertoes, and pinky toes. 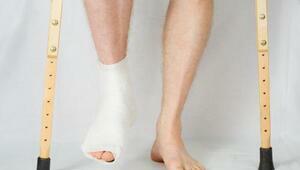 Treatment for tendonitis, corns and callus removal, and nails in order to maintain foot care. 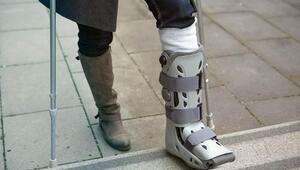 I have recommended several family and friends to Dr. Duke for foot problems. He and his staff are effective, supportive and make you feel welcome with every visit. Greatt doctor, had a procedure done with excellent results. Office staff friendly and efficient. I was able to get an appointment just a few days after my call. I never actually saw Dr. Duke because I cancelled my appointment after being in the Dr.'s office with his nurse for 5 minutes. Not only was there no sheet protector on the chair that she told me to sit in, but there were smudges of what appeared to be oil, on the seat, in multiple places. The nurse asked me medical questions with the door open. Extremely unprofessional behavior from his nurse and highly unsanitary atmosphere. I would not recommend this place on sanitation reasons alone.